The Dressing Room has officially become one of my favourite stores this year, they sell a fantastic selection of designer names covering fashion, accessories, jewellery and shoes – and you may remember they recently sent me this beautiful and exclusive Olivia Burton watch, which I’m completely in love with! Now they’re gearing up for their massive Christmas sale, and I’ve got a few of my favourite sale pieces to show you! 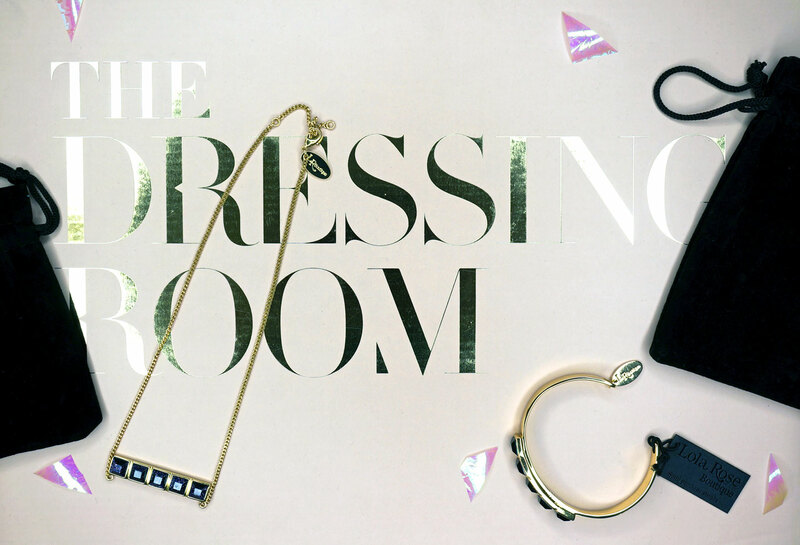 Welcome to The Dressing Room Sale Preview! 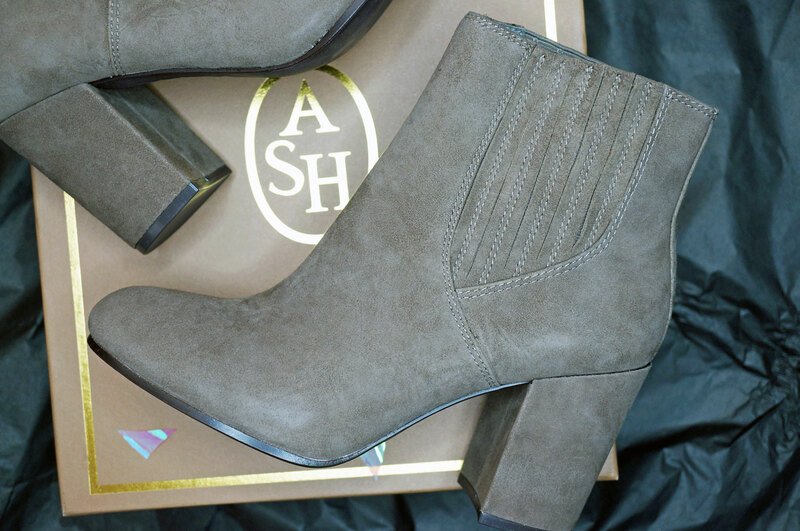 First up I have these beautiful Feeling Good Suede Boots by ASH, originally £169 these will be reduced to £84 in the sale – this is an amazing 50% off! The Feeling Good Suede ankle boots are made from a beautifully soft taupe suede and feature a round toe, elastic side panels and chunky block heel. These would be the perfect chic addition to a day outfit. I’d wear them with a cream chunky jumper and plenty of luxe accessories. 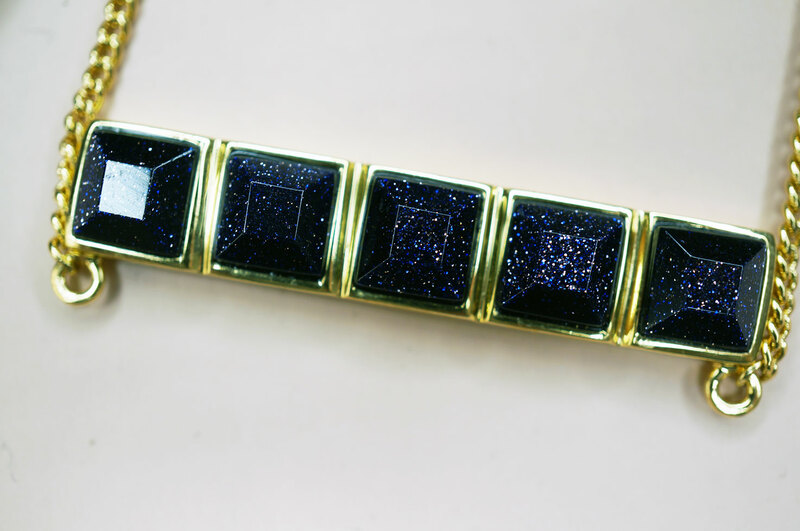 Next is the gorgeous Henriette Bracelet by Lola Rose, this was originally £88 and will be reduced to £44 in the sale- this is 50% off again! 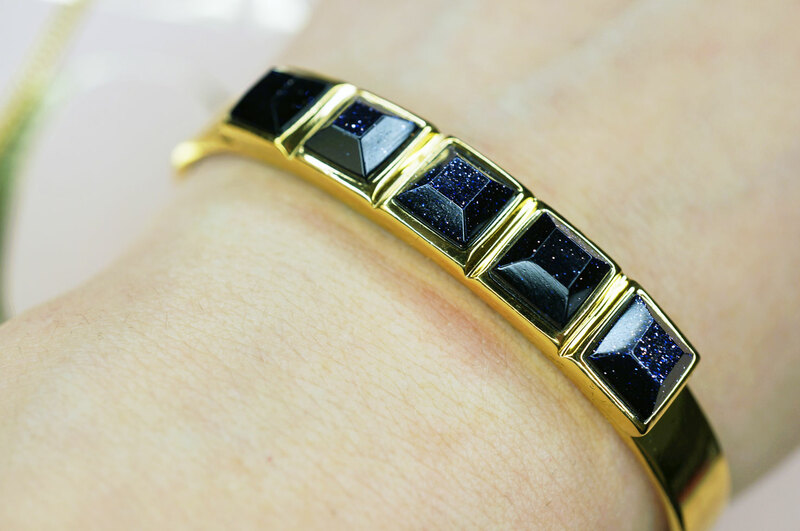 The Henriette bracelet by Lola Rose is a narrow bangle designed in a gold tone brass, embellished with 5 square Blue Sandstone semi precious stones that have a beautiful glitter finish. 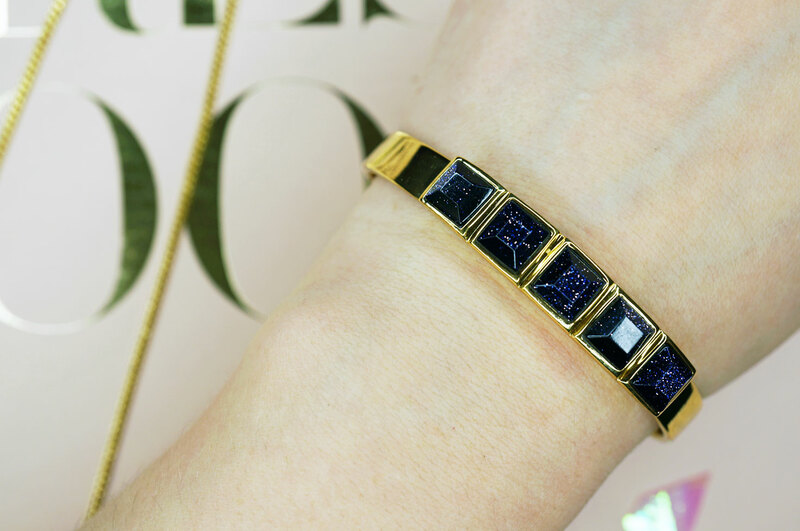 I’m officially in love with this bracelet, Lola Rose, to me, conjured up images of chunky bracelets and faceted hearts, which aren’t really my thing, but with it’s gold tone finish and glittery sandstones, this bracelet is my style to a T! And look, I have the matching Lyra Necklace too! Of course also by Lola Rose, this was originally £75 and will be reduced to £37 in the sale – which is over £50% off this time, amazing! 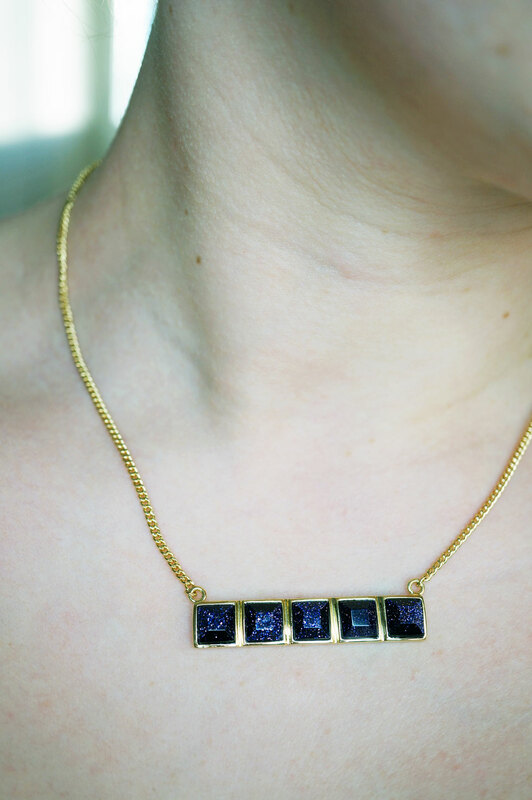 The Lyra necklace is pretty and delicate, it has a fine gold tone brass chain, featuring a horizontal row of 5 square Blue Sandstones set in a pendant. The necklace has a lobster clasp and an extension chain up to 5 cm, to make the necklace a little longer if you wish. 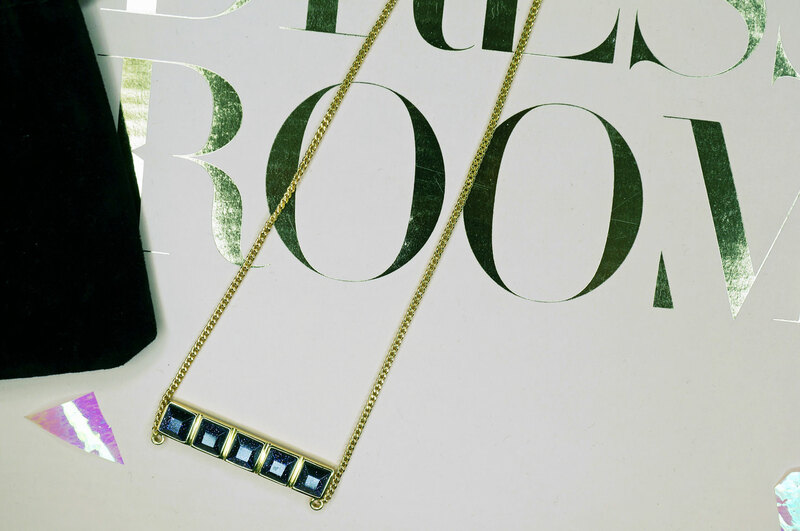 The Henriette bracelet plus the Lyra necklace plus a LBD equals my Christmas party outfit sorted! 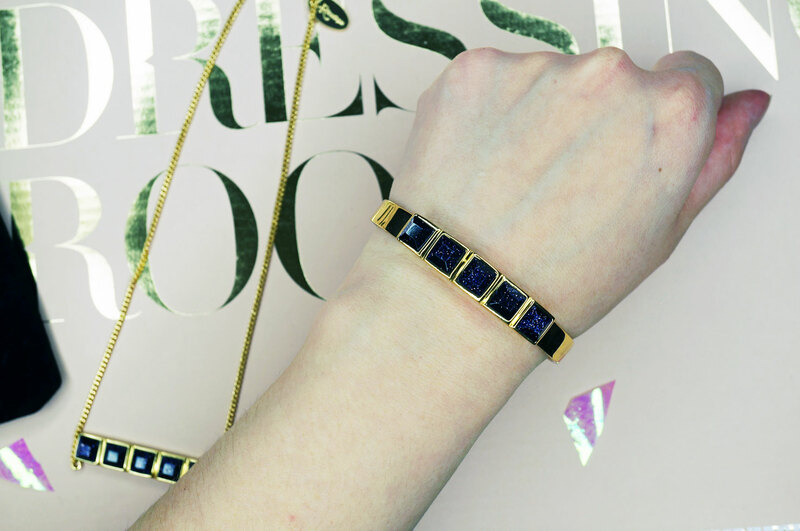 These Lola Rose pieces really are simply stunning, understated and chic – can you tell I like them!? Next Post Are you the £1400 Giveaway Winner?